Herb Quady is the proprietor and winemaker at the namesake label Quady North but Herb has bounced around with winemaking stints at California's Bonnny Doon (as associate winemaker) as well as currently making wines at Troon Vineyard. Making Quady North the only place he hasn't made wine that doesn't rhyme with loon. The labels at Quady North might be the first thing to grab your attention and there's a good reason for it, they're colorful bright and bring to mind the classic imagery of old sailor tattoos. While the Spring weather has really been an exercise is torture lately, warm and sunny days appearing only for the drab grey weather to return, we're on the cusp of Rosé season. In fact, I'm drinking Rosé just on principal. 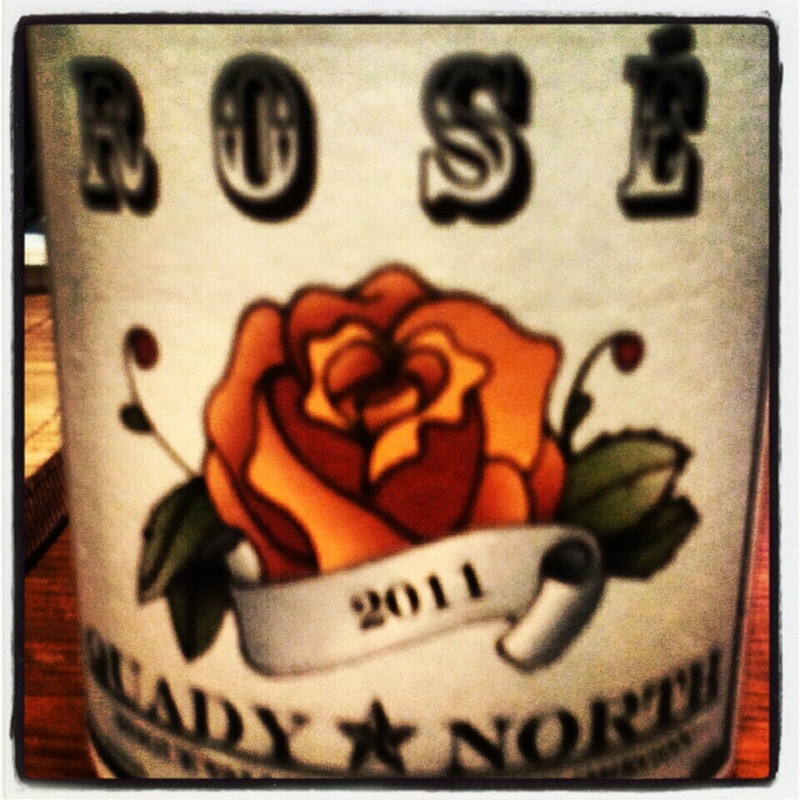 The Rosé from Quady North is electric pink and has wide open floral aromatics right from the jump. Done as a saignée this rose comes across with loads of melon, peach skin and a hint of fresh mint delivers you to the finish. The acidity is perfect for pairing this wine with anything light but it will likely cut through the fatty grilled meats of summer as well. For $13.50 you'd have to be ridiculous to pass on this find. The Quady North wines are fairly readily available through out the PDX metro area check out Zupan's and New Seasons and get this Rosé before it's all gone.